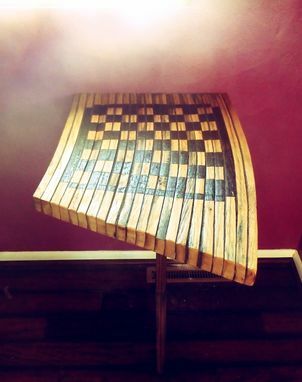 This space saving table is made from used barrel staves. 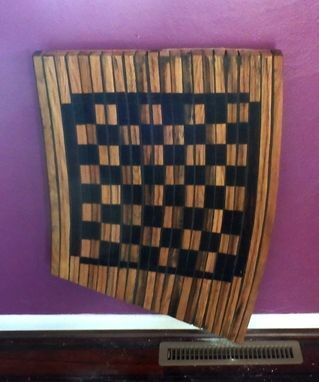 The hand wood-burned checkerboard detail makes it one of a kind. I loved this custom order; brought to life from a customer's very interesting set of requirements and my creative mind she loves it as much as I do! So much that you can expect to see the bench and stool to accompany it coming soon.